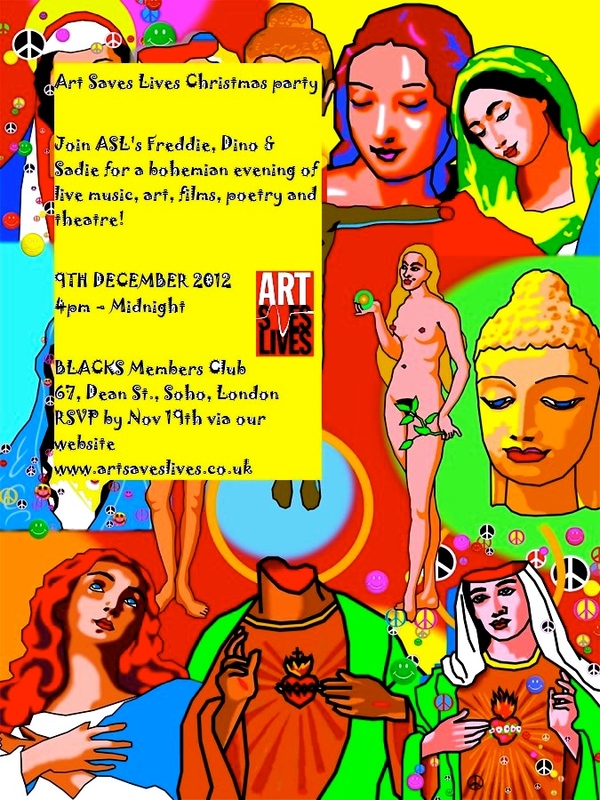 Sadie and her Art Saves Lives co-founders, Dean Stalham and David “Freddie” Frederick, were blown away by the turn out at Art Saves Lives’ bohemian evening of spoken word poetry, art, films and music at Blacks, London. 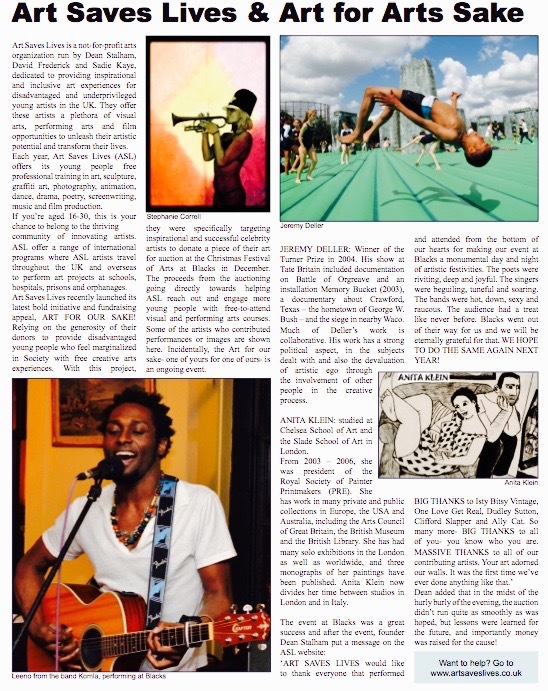 The event was attended by Turner Prize winning artist Jeremy Deller, Anita Klein, Komla, Resonance FM host Kirsty Allison and groovers and shakers from the art world. Peace!